According to the World Health Organization, 800,000 people die by suicide globally each year. That’s one person every 40 seconds. Additionally, the CDC recently reported that as of 2016, the suicide rate in the United States has risen 25% over the last 20 years. 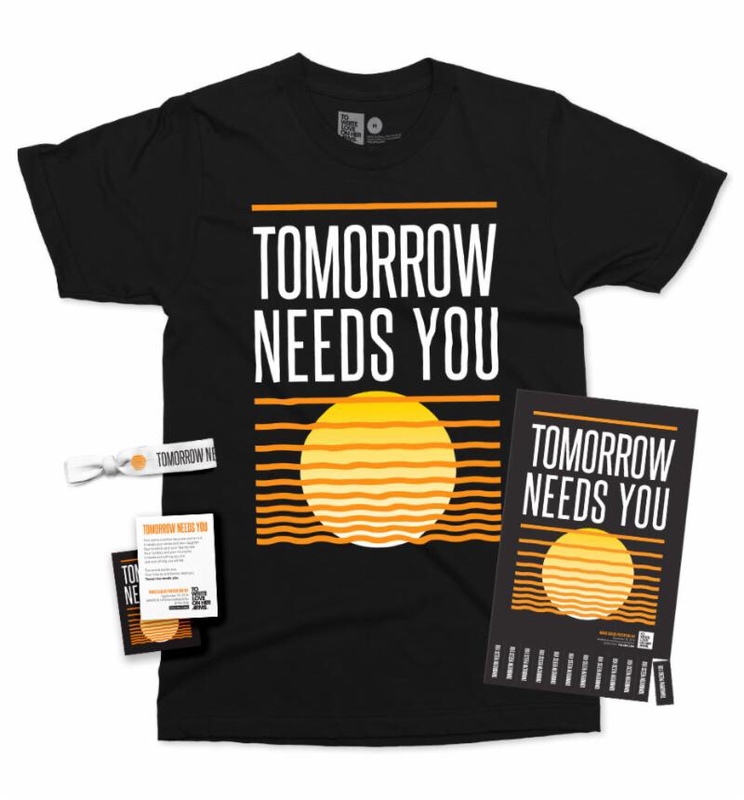 People can participate in this year’s campaign by purchasing the organization’s World Suicide Prevention Day pack, joining the conversation on Twitter, Instagram, and Facebook using #TomorrowNeedsYou, #WSPD18, and by donating to their fundraising campaign. TWLOHA has set a goal to raise $100,000 to provide counseling scholarships and to help connect thousands of people to local mental health resources. To Write Love on Her Arms is a nonprofit dedicated to presenting hope and finding help for people struggling with depression, addiction, self-injury, and suicide. It exists to encourage, inform, inspire, and also to invest directly into treatment and recovery. Since its start in 2006, TWLOHA has donated over $2.1 million directly into treatment and recovery and answered over 210,000 messages from over 100 countries. 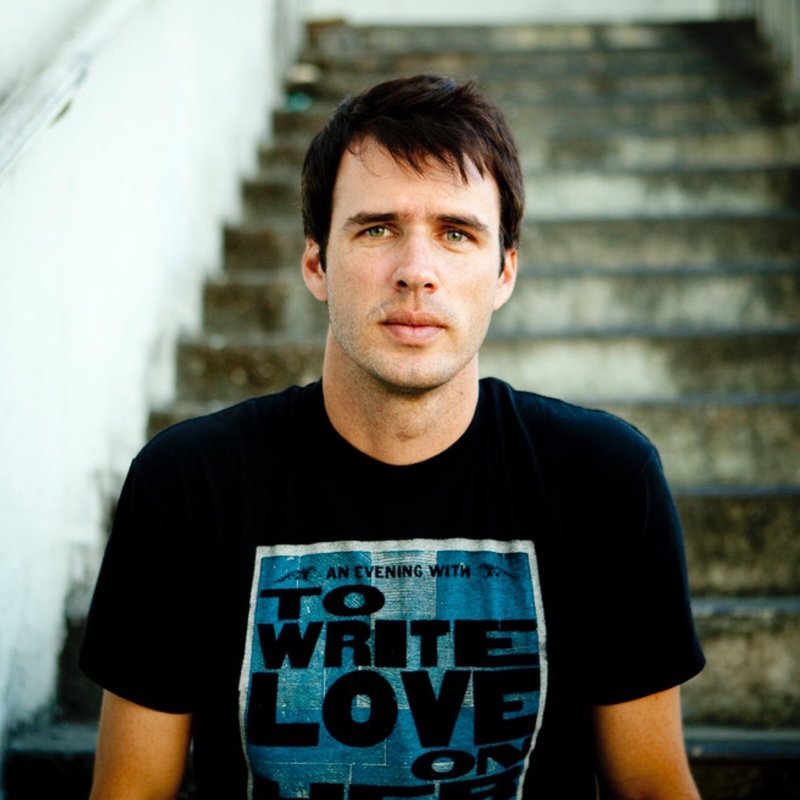 For more information on To Write Love on Her Arms, please visit: www.twloha.com. In addition to this year’s WSPD campaign, TWLOHA recently announced three dates of “An Evening With To Write Love on Her Arms.” The tour will run from September 18-20, hitting Tampa, FL, Gainesville, FL, and Atlanta, GA, respectively. The evening will consist of Tworkowski speaking, plus performances by two-time National Poetry Slam champion, Sierra DeMulder, and musician JP Saxe. Tickets for all three nights are on sale now. General admission tickets range from $13-$15, and VIP tickets are $40, which includes a pre-show Meet & Greet + Q&A. For more information, please visit: https://twloha.com/events/. This entry was posted in Uncategorized and tagged 360 Magazine, annual campaign, campaign, Dylan Worcel, Global Society, hope, Jamie Tworkoswki, mental health, message, National Suicide Prevention Week, prevention, suicide, suicide prevention, to write love on her arms, Tomorrow Needs You, Vaughn Lowery, World Health Organization, World Suicide Prevention Day on August 14, 2018 by wp360mag. 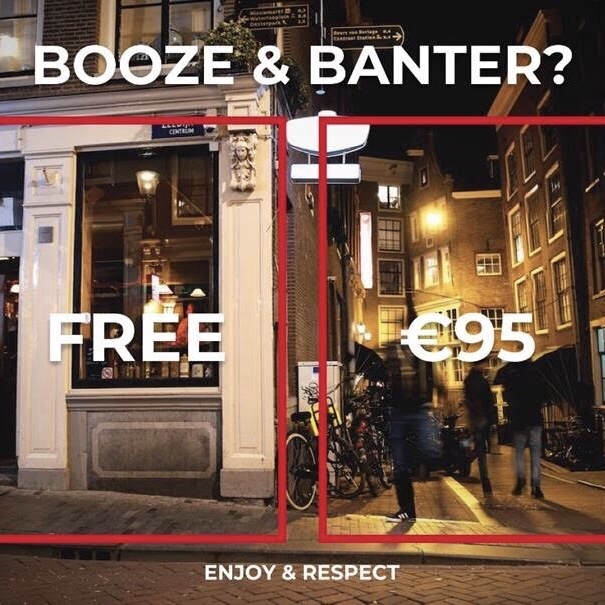 Thursday sees the launch of the Enjoy & Respect campaign, which brings home the message to Dutch and British people aged 18 to 34 that offensive behaviour will not be tolerated in Amsterdam. This target group frequently visit Amsterdam at weekends to party, drink, go on pub crawls and hold bachelor parties. All too often, the result is drunkenness, noise in the street, litter, and public urination. As surveys on quality of life in Amsterdam have shown, this is a serious source of nuisance to residents, local businesspeople, and other visitors. 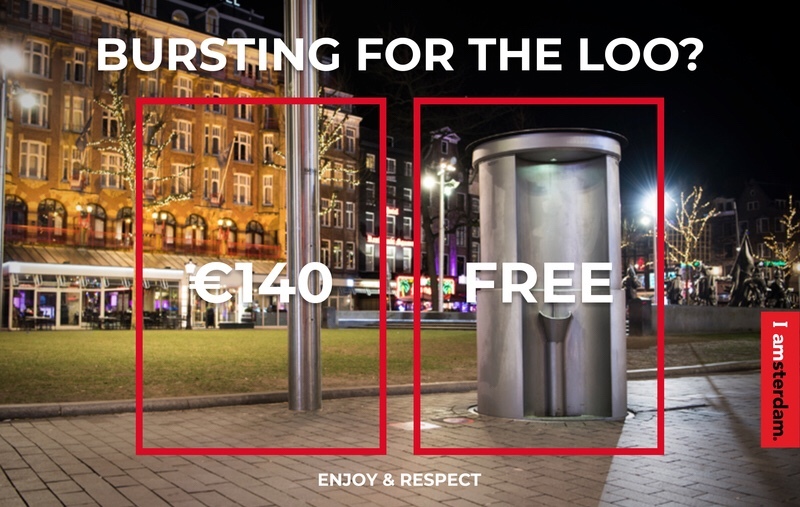 The Enjoy & Respect campaign aims to inform the target group of the consequences of this kind of behaviour, and raise awareness of what is allowed and – more importantly – what is not allowed in Amsterdam. The campaign was initiated by Amsterdam Marketing, and developed in collaboration with Amsterdam city council and other stakeholders. Amsterdam is famous as an open, creative, innovative and tolerant city, where the limits of what is allowed are wide. The city has an international reputation for freedom – the freedom to be who you are, believe what you like, and say what you think. But this freedom depends on a crucial precondition: mutual respect. And respect is often precisely what is lacking among the specific target group that causes trouble. The campaign focuses on four kinds of behaviour that cause the most trouble: drunkenness in public spaces, noise, littering, and public urination. Where city guards or the police catch people committing these offences, they are immediately issued with substantial fines. The key message of the campaign is that everybody is welcome in Amsterdam provided they behave appropriately. You can enjoy your freedom, as long as you respect the city and its residents. If you fail to show the necessary respect, you face a hefty fine. The Enjoy & Respect campaign has deliberately taken a creative approach, taking freedom of choice as its core theme. To communicate a message effectively, it is vital to make contact with the target group, and research has shown that a patronising approach only has a negative effect on the target groups that tend to misbehave, especially when drunk. The best way to raise their awareness of what is and isn’t allowed in Amsterdam is therefore to take an original and creative approach. At the same time, members of this young target group are generally on a budget, and are very sensitive to fines. Amsterdam Marketing developed the campaign in collaboration with Wavemaker, an agency with expertise in media and content production, and a wide knowledge of and experience with the target group. The visitors who cause public nuisance are sober when they are planning their visit, and on the whole, they are cooperative when they are boarding the plane and during their stay. 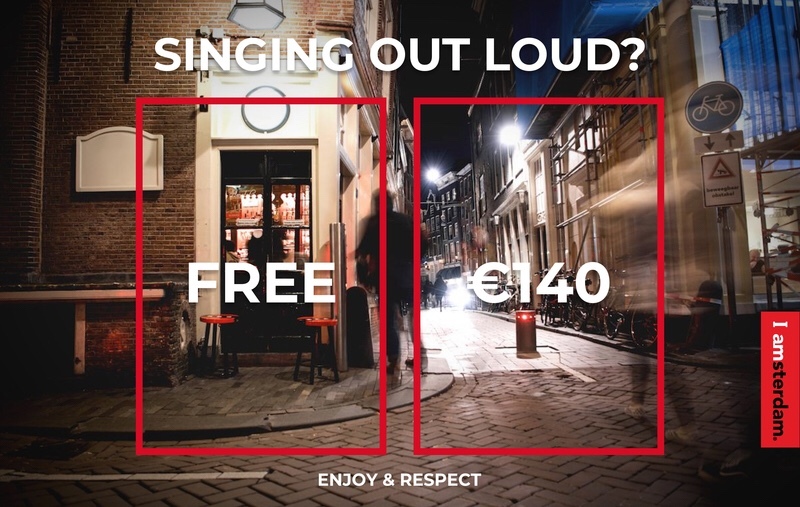 The campaign targets the audience at all these specific points, from searching online, to booking the trip, to the reception desk at the hotel or hostel, and also at breakfast, in pubs, in the red-light district, and the Rembrandtplein and Leidseplein nightlife areas. The campaign is available to the target group online all year round, and is targeted in the city centre by means of geofencing. As soon as a member of the target group enters the red-light district, Rembrandtplein, Leidseplein or the area around Amsterdam CS, they will receive content and messages via social media. At the same time, responses will be made to social media posts by troublemakers in consultation with the Amsterdam police. The ultimate aim is to reduce public nuisance. Changing people’s behaviour takes time and demands patience, but everything starts with awareness of the issues, and this campaign is the starting point. The campaign is financed by Amsterdam Marketing, the City of Amsterdam and the commercial sector: Schiphol, the Rijksmuseum, the Van Gogh Museum, Koninklijke Horeca Nederland (Amsterdam division), the Oudezijds Achterburgwal business association, and the local campsites. The local transport company GVB and the outdoor advertising company JC Decaux are making media space available. 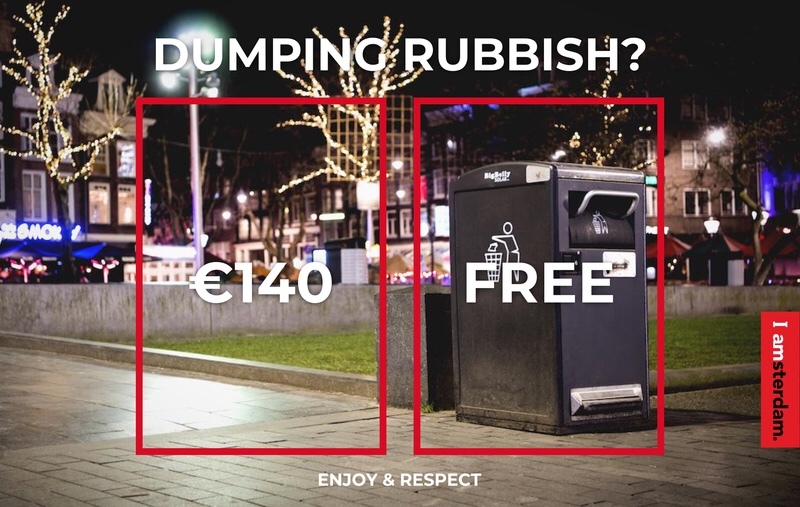 This shared responsibility emphasises how important it is to cooperate to make sure that Amsterdam remains a pleasant place to live, with a positive reputation. The campaign content was presented to residents, local business people in the city centre, and an umbrella representation of the tourist, hotel, bar and restaurant sectors. British Embassy representatives also participated. The City of Amsterdam and the police are closely involved in developing, implementing and following up the ideas. “It was clear from the very start how important the right tone of voice and visuals are for this campaign. It’s crucial to the interest and commitment of the city and its residents. The promotional material will be monitored during the course of the campaign, and a study will be conducted to assess whether the media are sufficiently reaching the target groups. Qualitative evaluations over the next few months should also indicate whether the target group are recognising and responding to the message. This entry was posted in Feature and tagged 360, 360 Magazine, Amsterdam, Amsterdam marketing, British, charges, Diana Macaraeg, dui, enjoy & respect, europe, Leidseplein, lit, message, Netherlands, nuisance, offensive behavior, party, promoters, psa, Pubs, red light district, Rembrandtplein, social media, Vaughn Lowery, wavemaker on May 30, 2018 by wp360mag.